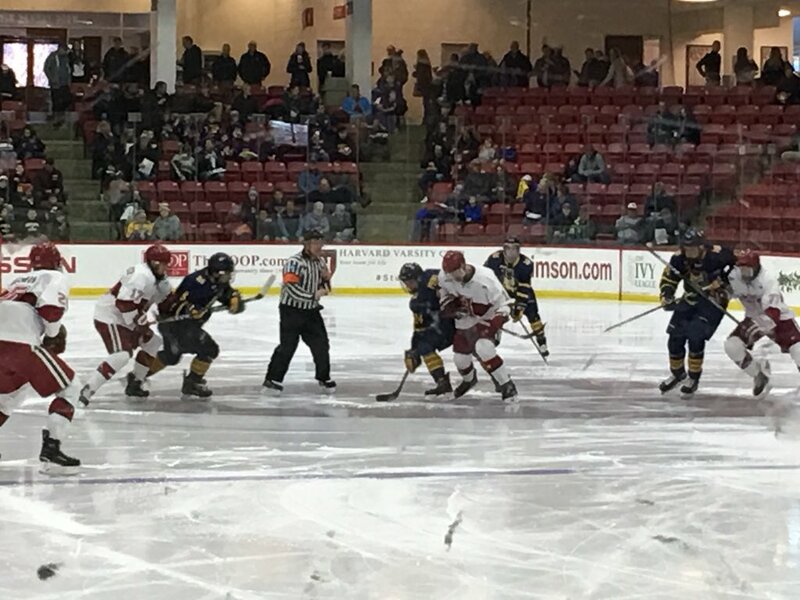 Quinnipiac and Harvard skated to a 2-2 tie on Saturday afternoon at Bright Hockey Center in Allston, MA. 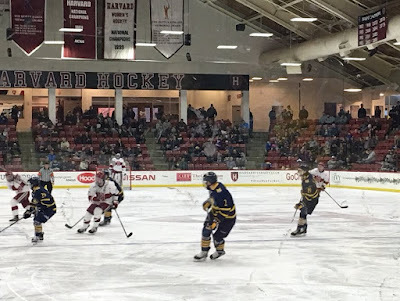 Harvard star and newly minted United States Olympian, Ryan Donato scored the equalizer with 3:27 to play in the third period salvaging a tie for the home team. 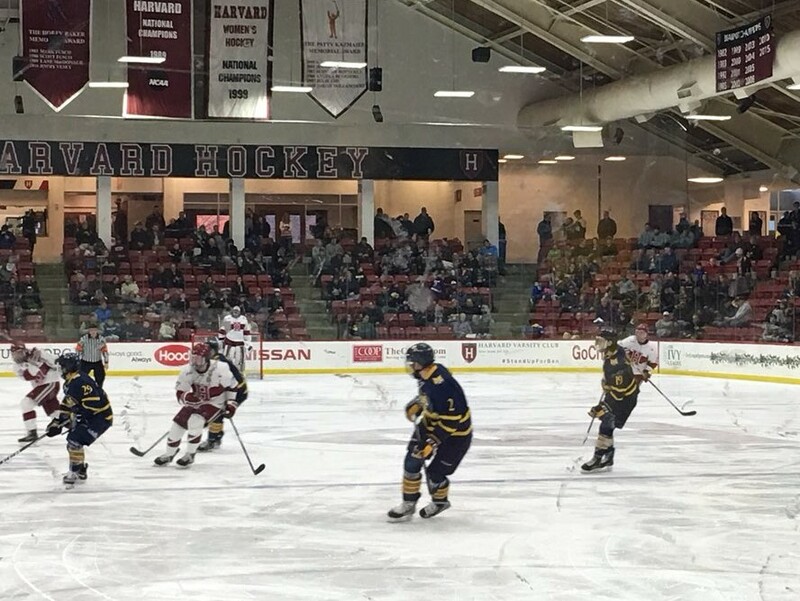 Less than 24 hours after getting stunned in the final 10 seconds in a 4-3 loss to Dartmouth, Quinnipiac played tough against a Harvard squad that is starting to find its stride. Quinnipiac goaltender Keith Petruzzelli (31 saves) saw his first start since November 25th against UMass Amherst. His last appearance was in late game action on December 8th against Maine. The freshman turned in his best effort of the season making many big saves especially late in overtime. Quinnipiac entered this game with one of the worst power plays in the country yet scored its first goal via the man advantage. 12:29 into the first period Bo Pieper cleaned up a rebound off Chase Priskie's initial shot in front of the net for his 6th goal of the season. Harvard evened the score when freshman Jack Badini ripped a shot past Petruzzelli just 6:43 into the second period. 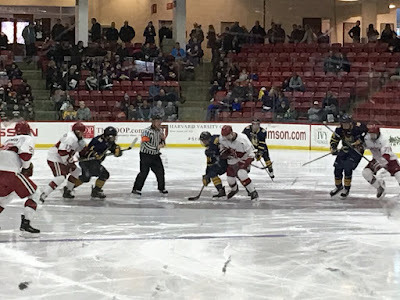 With the teams trading some chances throughout the period it wasn't until late in the period that Quinnipiac once again capitalized on the power play. Brogan Rafferty fed Chase Priskie for a one timer past Merrick Madsen for his 6th goal of the season. Harvard controlled the play in third period while Petruzzelli stood tall for Quinnipiac. But for the Bobcats it is extremely tough to slow down Ryan Donato and he proved why he is the best player in college hockey this season. With Quinnipiac clinging to a lead Michael Floodstrand slid a pass across the crease to a wide open Donato who buried it high past Petruzzelli for his 17th goal in 17 games played. Big time players score big time goals and Donato has proven that during his collegiate career. Harvard had a chance to win it late in overtime as Ryan Donato couldn't handle a puck in front of Petruzzelli and his wrap around chance was thwarted as the buzzer sounded. Odeen Tufto (2 assists) had his 9th multi point game of the season for Quinnipiac who are now 8-12-3 on the season (4-7-2 ECAC). They are currently in 7th place in the ECAC standings one point behind Whitney Avenue rival Yale. Quinnipiac now heads out to the desert for a pair of games against Arizona State next weekend.